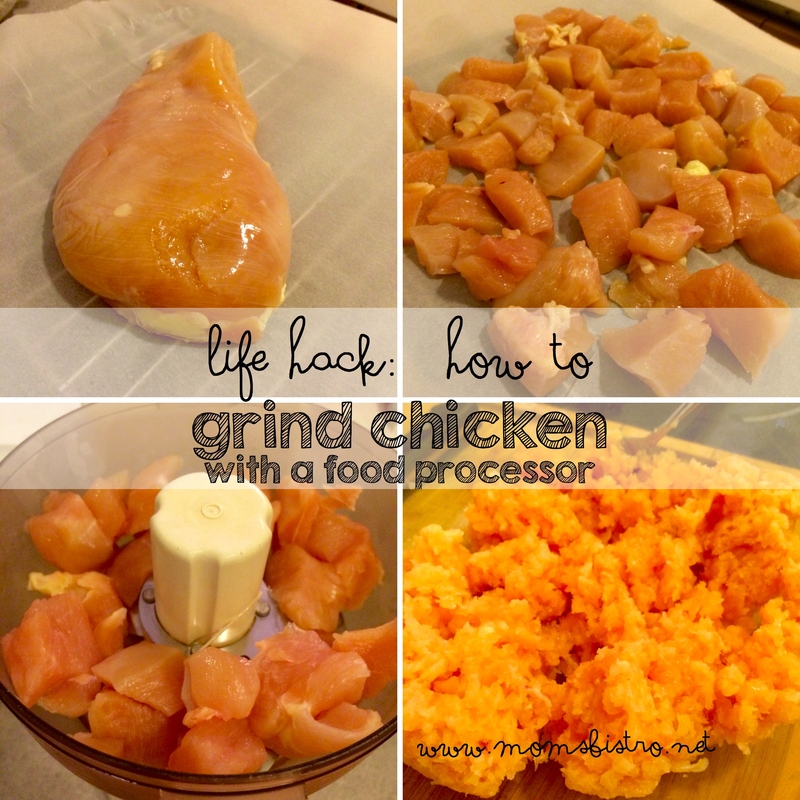 This is a recipe that I’ve been trying to post for a long time. 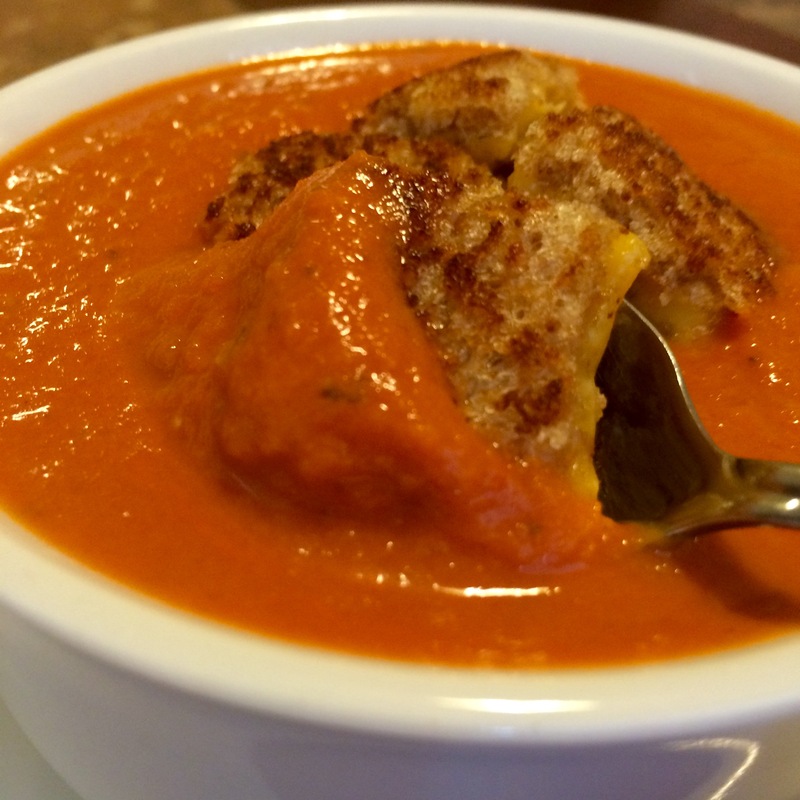 I LOVE, LOVE, LOVE homemade soup, and this creamy tomato soup is one of my favorites and the grilled cheese croutons make it one of Anthony’s! 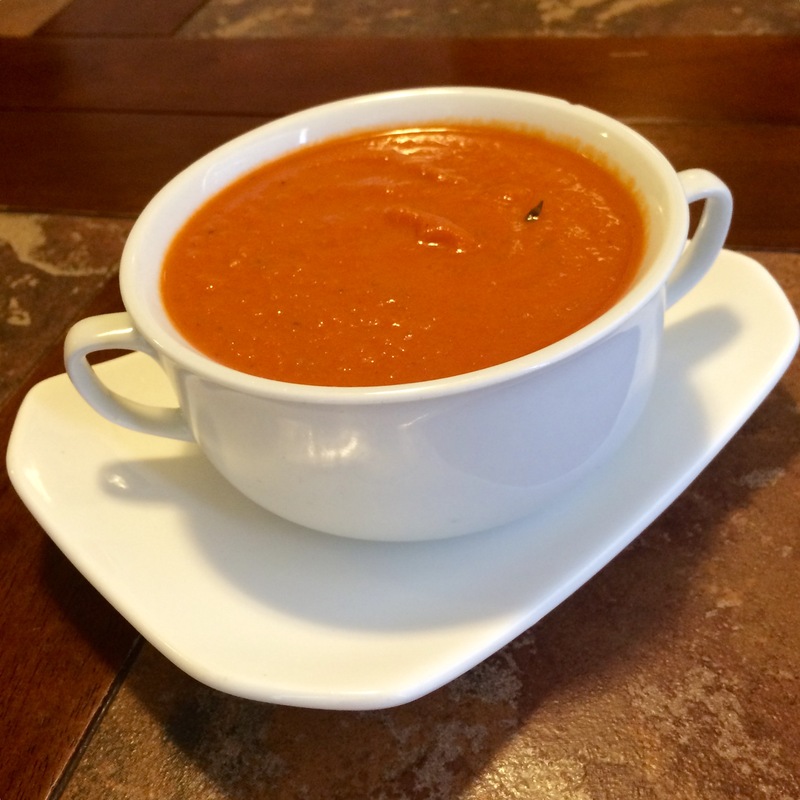 After making this recipe, it’ll be hard for you to ever buy the canned or boxed tomato soup again! Soup is a great way to hide a lot of vegetables, especially when you puree it, like this one. Tomato soup is just so comforting, as a kid, we ate this all the time because it was one of the few meals that my Dad would actually eat. 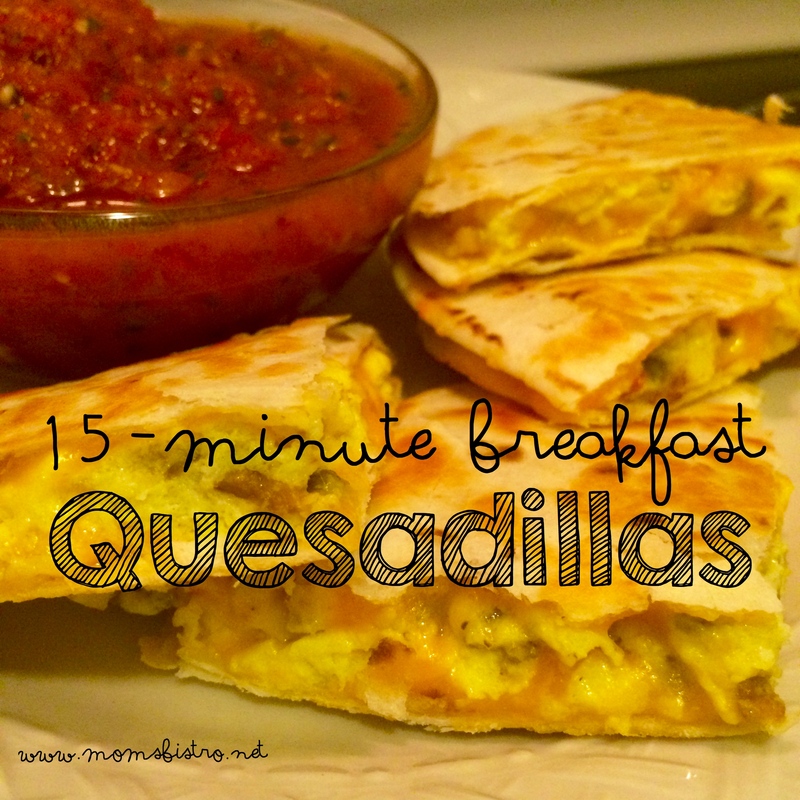 And when you add grilled cheese to the mix, there is just a soothing effect that takes over. 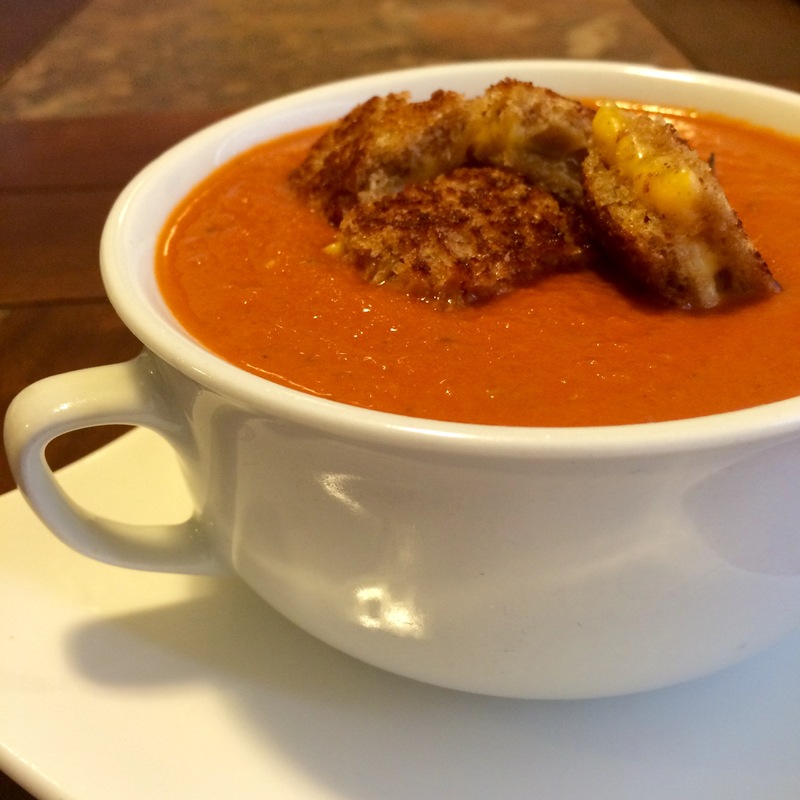 Grilled cheese and tomato soup is definitely a feel-good, comfort meal. Working at a preschool has taught me a lot, and over the past few years, I’ve learned that although kids aren’t always the biggest fans of soups, when you add fun croutons that they can dunk, or float around, they change their minds a little. This is where the grilled cheese croutons come into play. 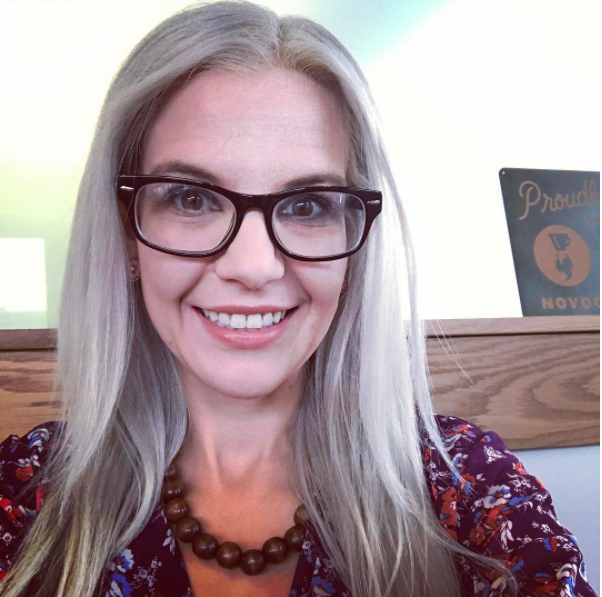 Don’t let the name fool you – it’s simply a grilled cheese sandwich that has cooled down a little bit, cut into small bite-sized pieces, or “croutons”. Prepare your veggies. If you want to add some more veggies, since you’re pureeing the soup, some good choices would be: zucchini, celery, green bell pepper, basil, fresh parsley. In a large pot, over medium-high heat, add olive oil and heat until shimmering. 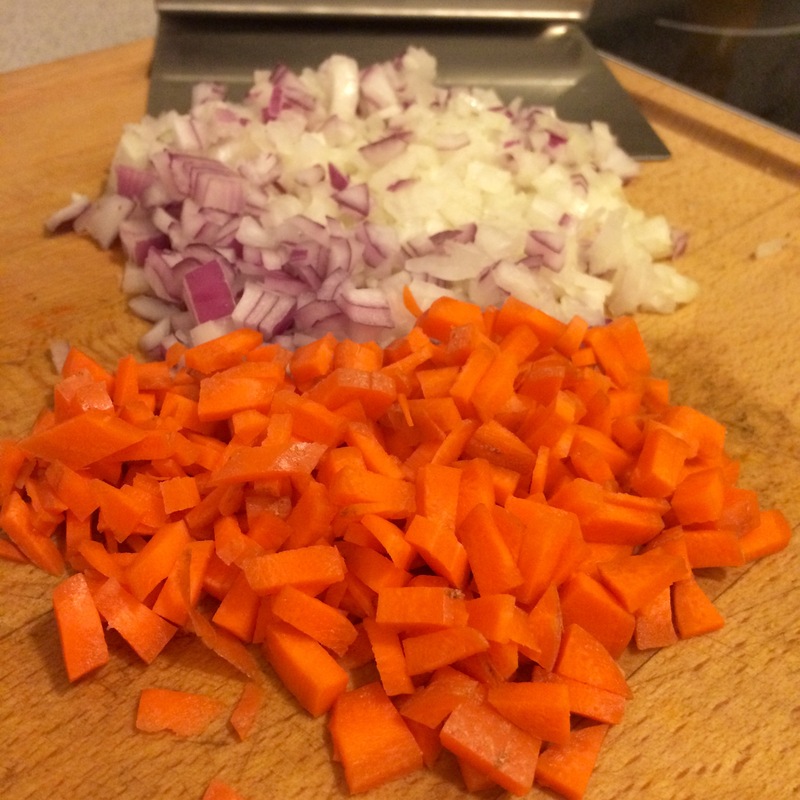 Add onion and carrot. Stir to coat the veggies in olive oil. Season with salt, pepper, thyme, rosemary, crushed red pepper and parsley. If you’re adding additional vegetables, not would be the time to add everything, except fresh herbs. 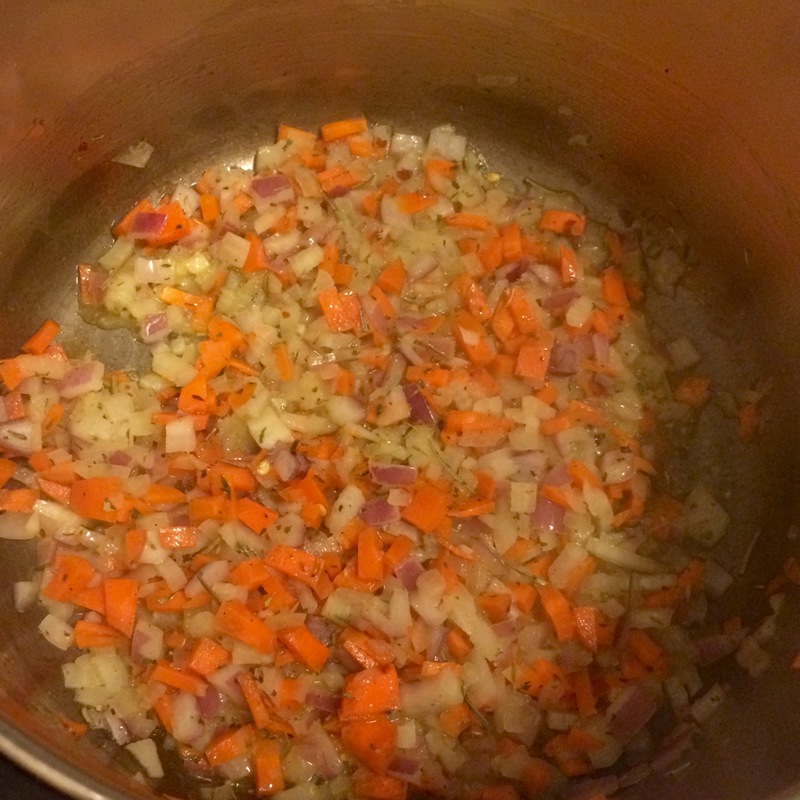 Cook, stirring frequently, until veggies start to soften and onions become translucent – about 5-10 minutes. Add garlic, and cook for 30 seconds, stirring frequently. Add red wine vinegar, and stir, scraping up any browned bits on the bottom of the pot. Stir and cook for 30 seconds. 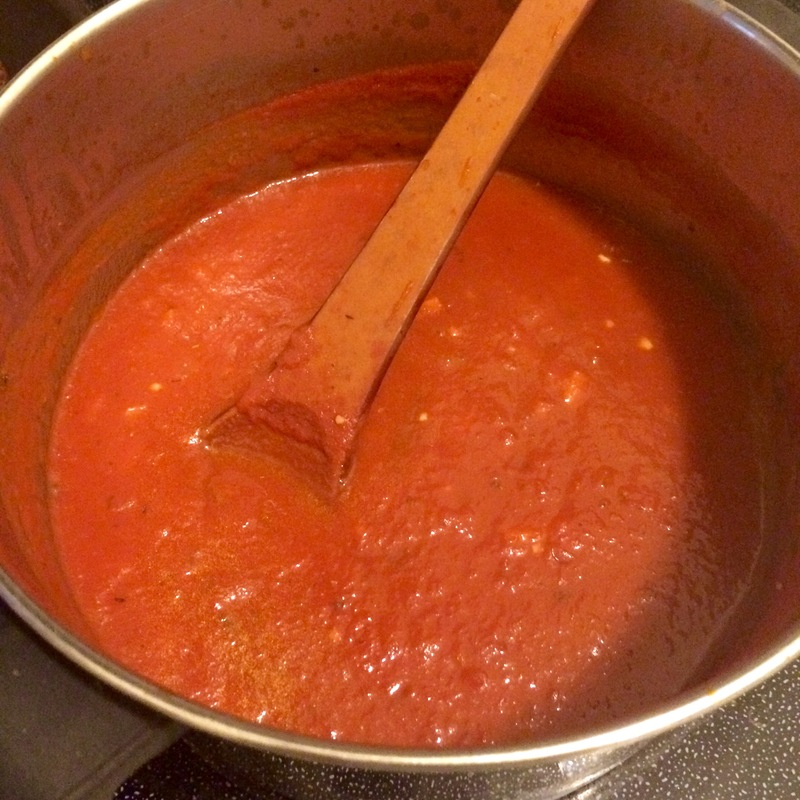 Reduce heat to medium-low and add tomato puree and chicken stock. Stir to combine. 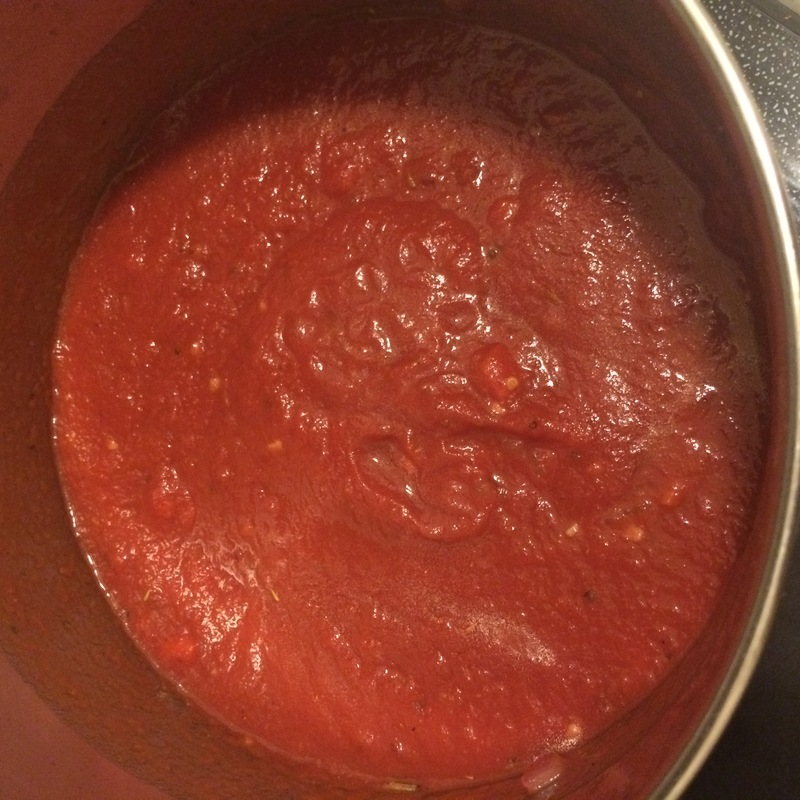 After pouring tomato puree into pot, add 1/4 cup water to the can. 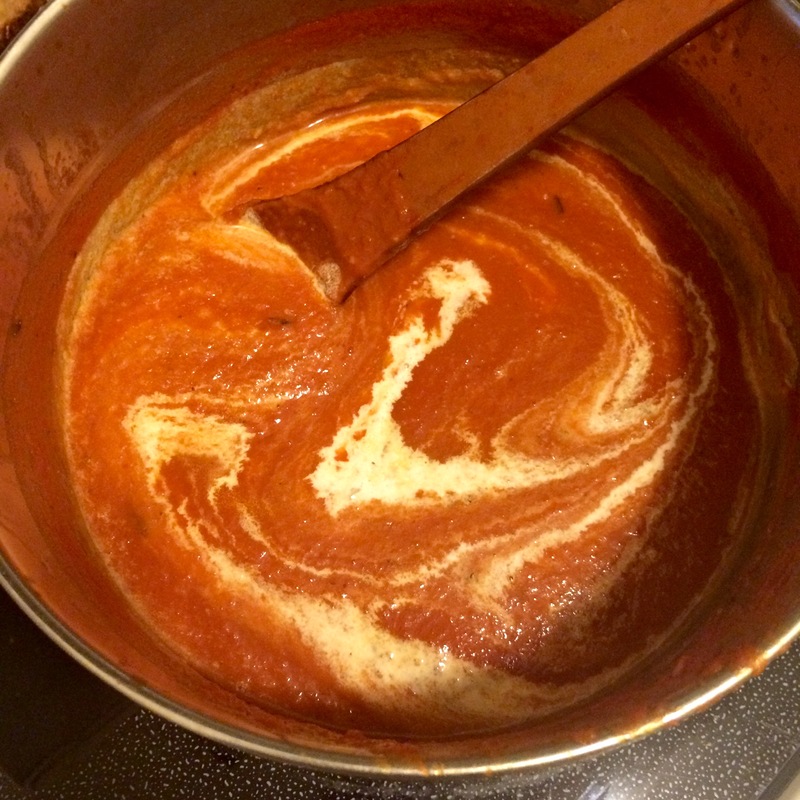 Give it a little swirl around, and add pour into the pot. This just makes sure that you’re getting all of the tomatoes out of the can! Simmer on medium-low heat for 20-25 minutes, stirring occasionally. 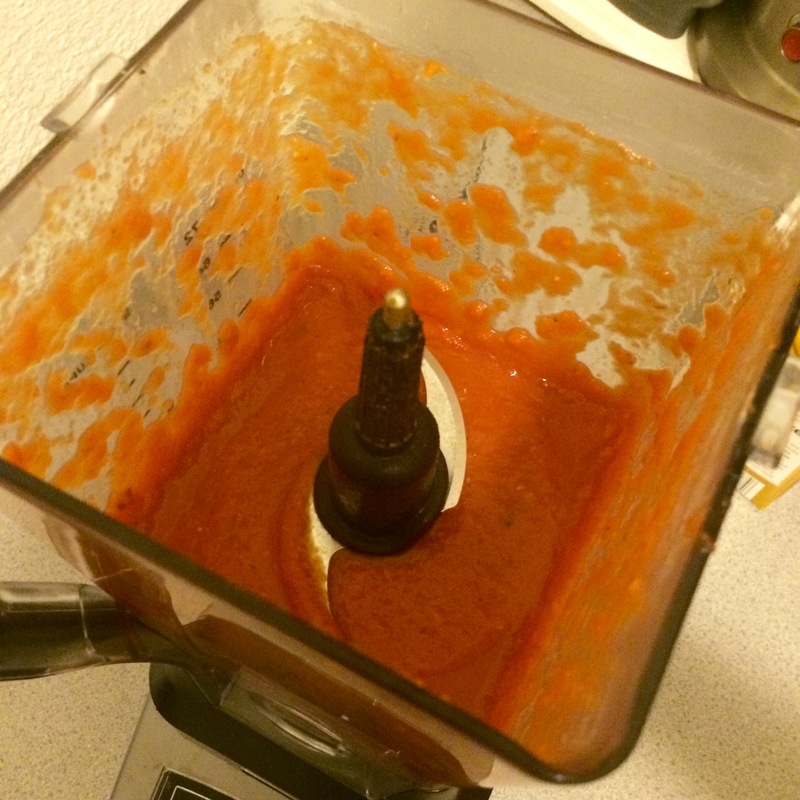 Pour soup in blender, and puree on high for 1-2 minutes, or until smooth. BE CAREFUL. Hot liquids in a blender can be dangerous. Be sure to hold a towel over the top, or allow your soup to cool down a little before pureeing. Alternatively, you could do this in the pot with an immersion blender, but I find a regular blender gets better results. Return pureed soup to the same pot. Turn heat on low, and add cream. Slowly stir to combine. Heat until just simmering, then turn off burner. 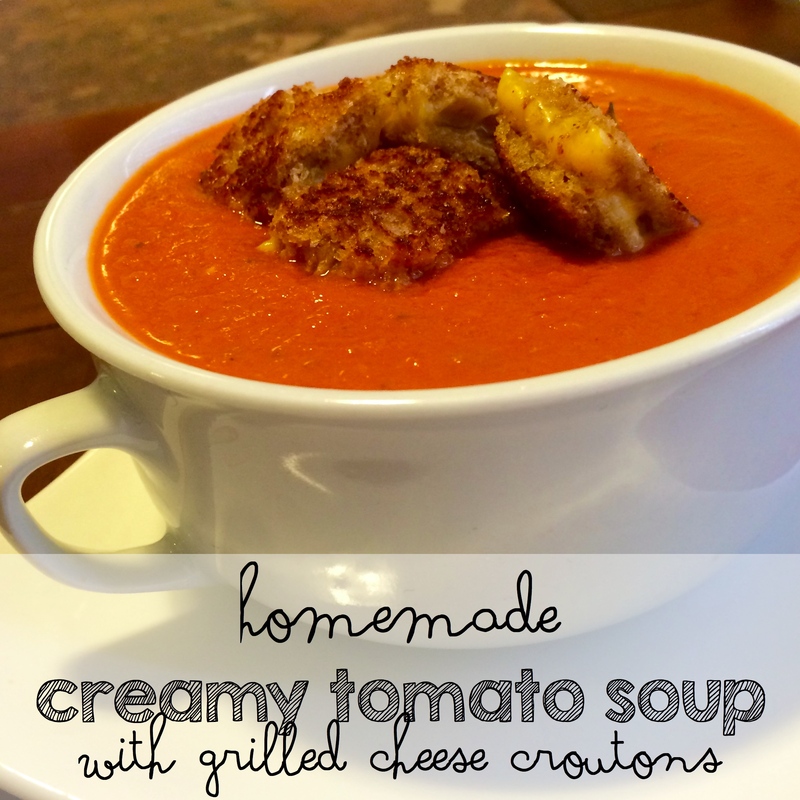 Serve with grilled cheese, or grilled cheese “croutons”. 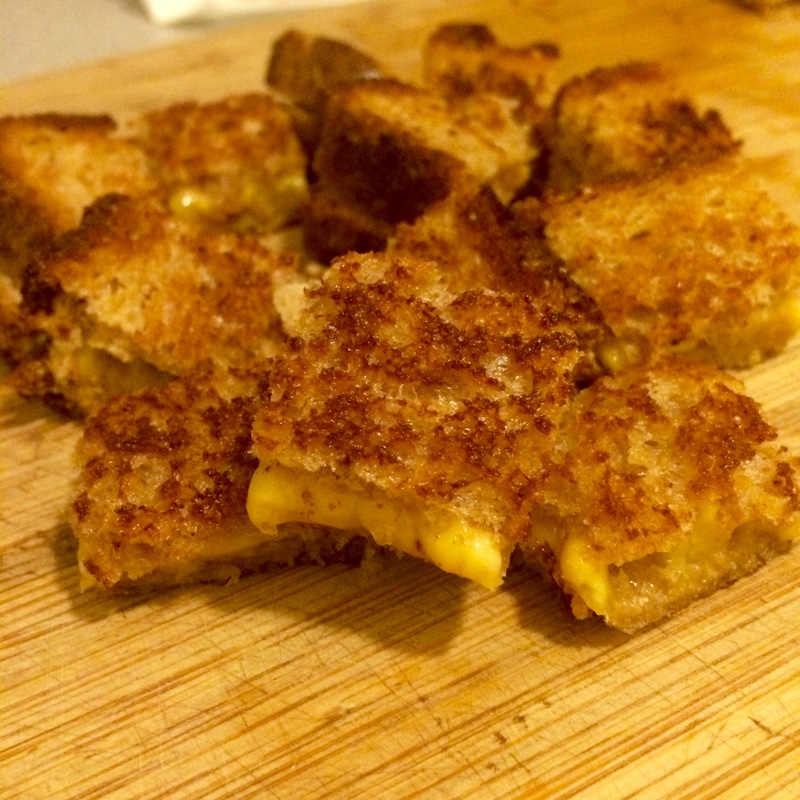 To make croutons, start by making grilled cheese. 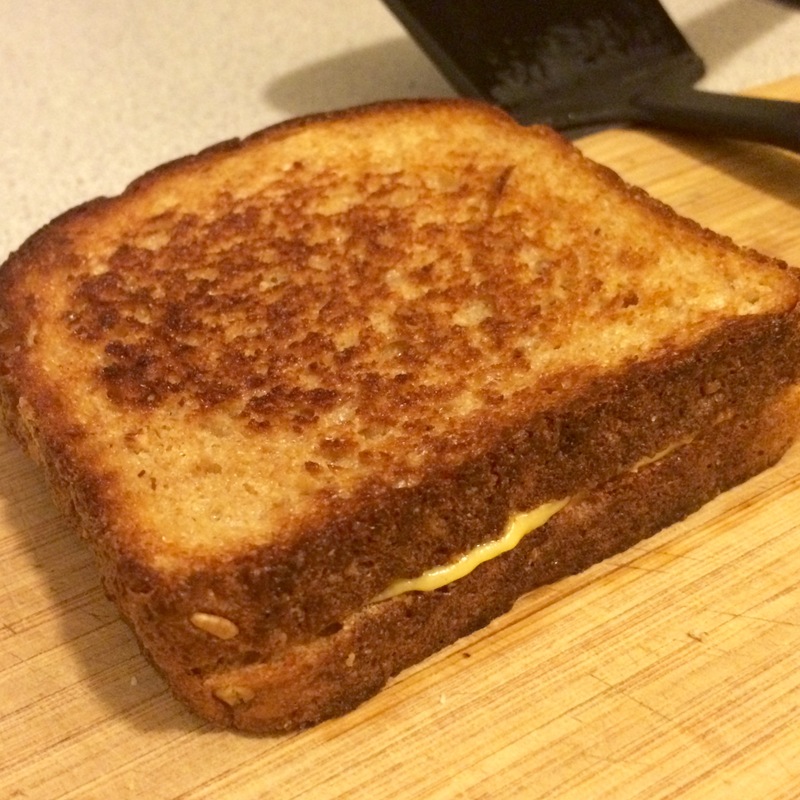 Place two pieces of cheddar or American cheese in between two pieces of whole wheat bread. Butter the outsides, and cook in a non-stick skillet over medium heat, until crispy on each side. Remove from heat and let cool at least 5 minutes. 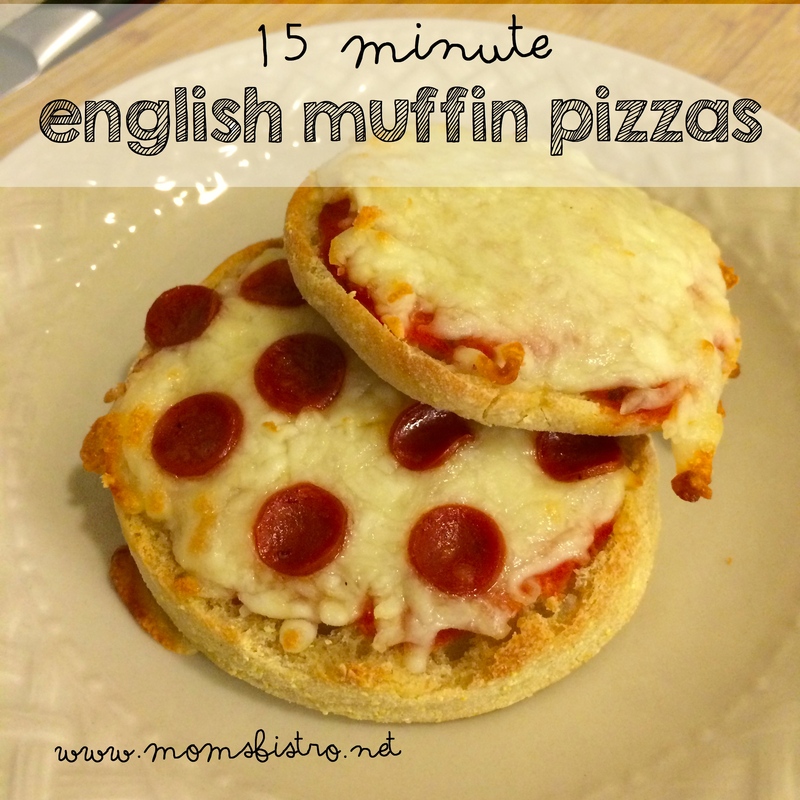 Cut into bite sized pieces. 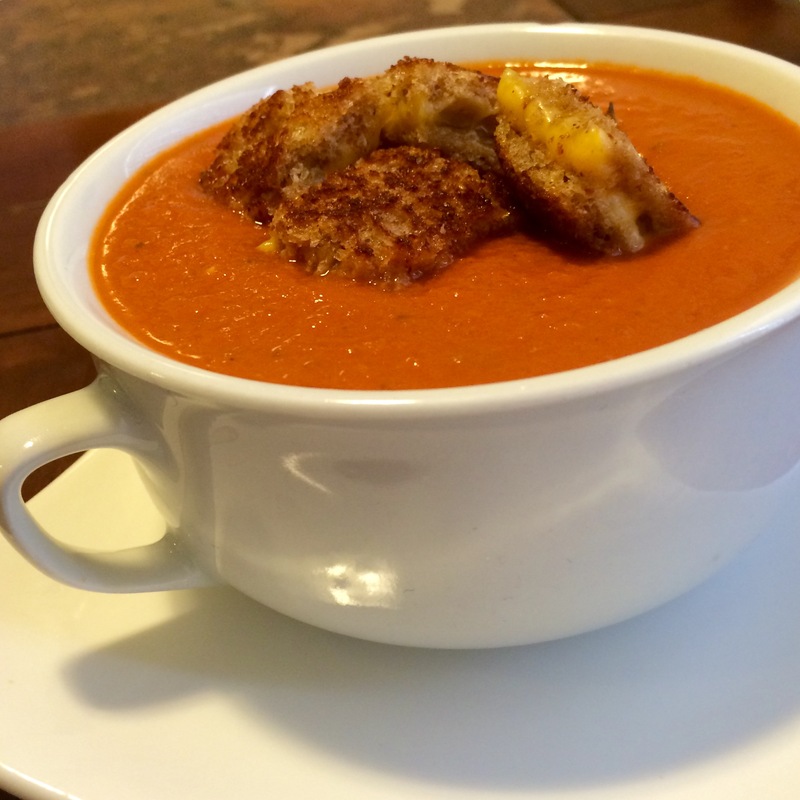 Serve grilled cheese croutons floating over the top of your yummy homemade tomato soup that you just whipped up in no time at all! What size of can for the tomato puree?? Thanks for letting me know it wasn’t on the actual post. There are so many recipes, I’m not sure what has pritables and what doesn’t anymore!